California Sen. Kamala Harris called for the resignation of Homeland Security Secretary Kirstjen Nielsen amid the growing furor over family separations at the Mexican border. “The government should be in the business of keeping families together, not tearing them apart. And the government should have a commitment to transparency and accountability. Under Secretary Nielsen’s tenure, the Department of Homeland Security has a track record of neither. As a result, she must resign,” said Harris, a member of the Senate Homeland Security and Governmental Affairs Committee. 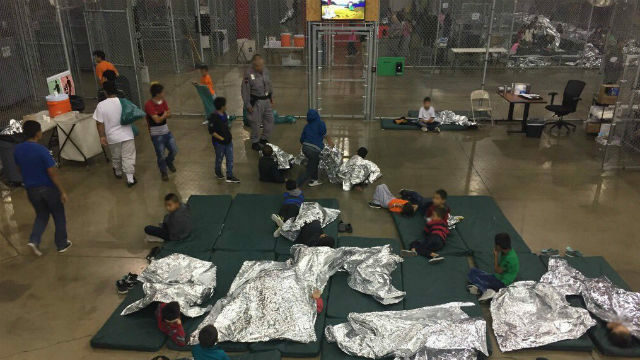 Harris tweeted a photo of children separated from their parents and sleeping on the floor of an unidentified Border Patrol facility. She said that under Nielsen’s management the department has “implemented a policy that has separated thousands of children from their families” while making it easier to detain pregnant women and responding poorly to hurricane devastation in Puerto Rico. On Sunday, Nielsen defended the Trump administration’s migrant policies amid growing public backlash and said the administration does not have a policy of separating families at the border. On Monday, however, President Trump said laws passed during previous Democratic administrations require that families be separated, and vowed that the United States “will not be a migrant camp” on his watch.